CH. Lumiere Farleys D Gone Loco, Reg #PR08943302, Apricot, Rayna has been a key to our breeding program. 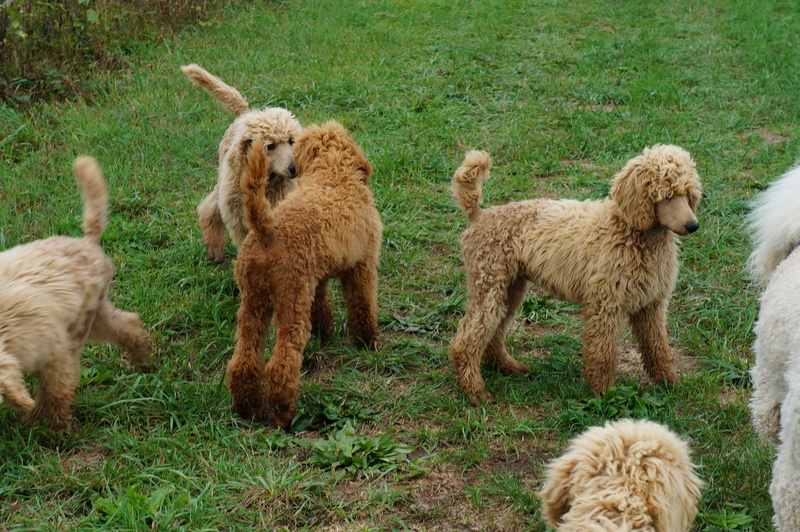 Expanding the correct conformation, movement and temperament to our breeding program. She has health clearances done for hip, eye, thyroid, NE, SA, and is vWD clear through parentage. We have kept a few offspring and are thrilled with the results. Ranyna completed her AKC Championship being shown by Terry Farley then completing it shown by Alan Waterman. We would like to thank both of them for making this possible. 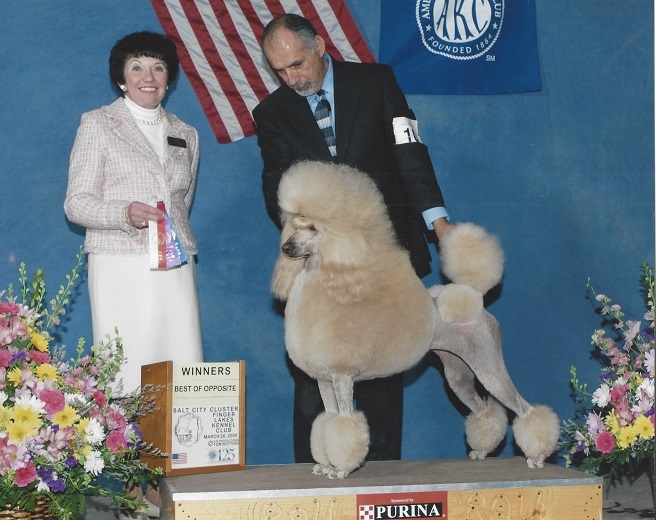 Also Natalie Lasanen, Lumiere Standard Poodles for allowing us to bring Rayna into our family. Also Judy Winter for introducing us to Natalie. Rayna is now retired and living a wonderful life with a couple and a few other canine family members. Mickee is a wonderful buddy. He is my shadow, helping me with chores around the farm. 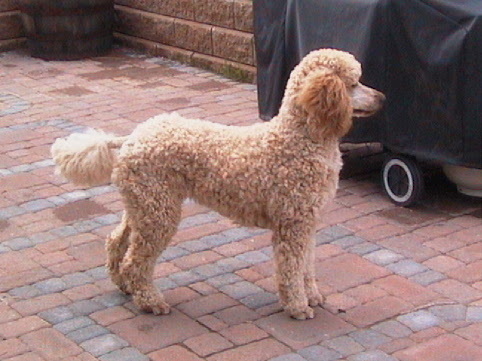 Maeve is our highest mileage poodle alumnus. As Joanne’s service dog she has crossed the United States in their tiny van home a dozen times and has driven with Joanne approximately 150,000 miles. This doesn’t count the hundreds of miles she’s hiked with Joanne. 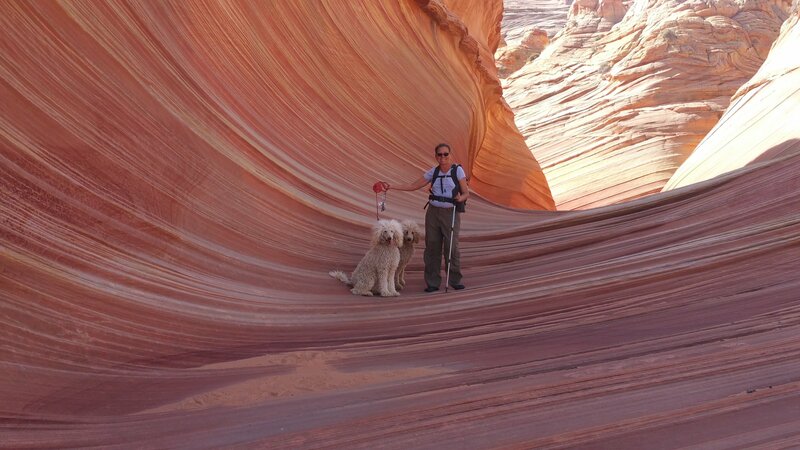 She and her young protege Cafe are shown above at The Wave rock formation in the Paria Canyon-Vermilion Cliffs Wilderness of the Colorado Plateau near the Utah/Arizona border in Grand Staircase Escalante National Monument. Maeve’s dam is Rayna and Cafe’s dam is Maeve’s half-sister, Amber.